Building your children's choral arrangement can be an easy process, but for those of you on a tight budget, song selection can be limited. Here are some suggestions on great choral music resources and song series that you and your elementary chorus will always treasure. Building a choral music repertoire may seem like a time-consuming task, but have no fear, there are some great choral series on the market that will save you time and money. 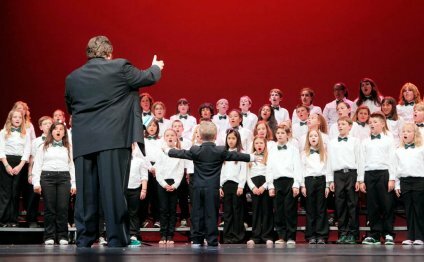 Here are a few children's choir collections and elementary school chorus music resources you may want to use. I use it frequently for songs in my choral performances. The magazine has 5 issues in all, one for every two months of the school year, and you can also order accompaniment CD's along with them. There are full performance CD's with lyrics that are great for the students to practice at home and in rehearsal, as well as accompaniment only CD's for concerts. Each issue features some holiday or themed songs as well as reproducibles to use in any vocal setting. The cost of a one year subscription to the magazine only is around $50 and with the CD's it is around $100. You get a lot of material and songs for the money and believe me it is worth it! My students enjoy performing these songs and our "fans" love to hear them performed as well. For more information on Music K-8 Magazine, click here. This is another great resource for any Music teacher, as I feel that their selection of vocal and choir music is quite extensive. They have music in all genres and styles including seasonal pieces and you can even print music digitally from their website. It may cost you a bit more then Music K-8, but if you have a particular piece in mind, this is where you are going to find it. You can use this link to visit JW Pepper's website. Oftentimes some of your best pieces come from other Music teachers. Don't be afraid to ask around, and make sure you are willing to share in return. Networking is sometimes the best way to get ideas and materials. Your local Music library (if you have one) or your college library may have choral works to choose from as well. Once you have a well-established choral repertoire, you will be well on your way to creating the perfect concert program. Good luck with your choral music quest!